I am crazy about reading. I have always been. When I was little, dolls and toys were ignored in favour of any book I could get my hand on. Hence I am slightly ashamed to have only just begun my summer reading. Let's blame it on the numerous visitors coming through our home ever since the first hint of warm weather arrived in New York. 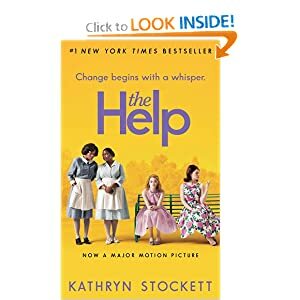 I started on The Help a few days ago and I could not set it down at all. I have so many romantic feelings about the South and the vivid portrayal of life, love and sadly hate between white families and their domestic help was truly enlightening in both good ways and bad. Such a compelling read that I wish I had picked up sooner. I know most of you may have already read this but perhaps a second read is in order before the release of the movie on August 12. I know I will be there on opening weekend. After a deliberating for goodness knows how long, I have decided to jump on this blogging bandwagon. I intend to write about my love of everything fashion, eating, travel and anything & everything that catches my fancy. Since I live in this crazy city called New York, you can bet I will have plenty of things to share.